Sailors for the Sea, executive director speaking at the 2012 Rhode Island Marine Trades Association business roundtable. The RIMTA roundtable focused on the newly formed Oceans Caucus of the U. S. Senate and its impact on the Marine Trades. The Caucus will work to increase awareness and find common ground in responding to issues facing the oceans and coasts, which support millions of jobs in America and contribute more to the country’s GDP than the entire farm sector, grossing more than $230 billion in 2004. To promote and develop Mercury Class racing under uniform rules governed by the Association, to maintain the one design features of Mercury Class Yachts and encourage a role in ocean stewardship. The Mercury Class encourages a role in ocean stewardship while planning and participating in Mercury Class events and promotes practices that align with stewardship goals, such as, but not limited to those listed in the Clean Regatta program established by Sailors for the Sea. The Mercury class voted to join Sailors for the Sea, as a class, after they changed their constitution as a route to moving forward as ocean stewards. We are very excited to have the Mercury class committed to ocean stewardship. We would like to congratulate this long standing class for it’s forward thinking by adapting this important initiative. 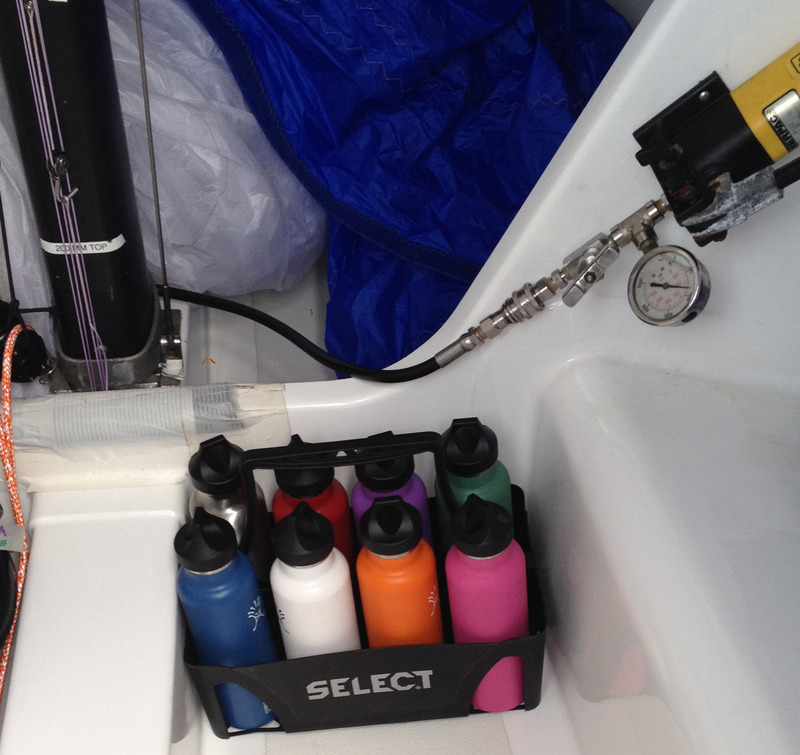 Melges 32 team Intac sent us a few photos of their new method for hydrating while at Key West Race Week. In an effort to reduce the amount of plastic waste on board Intac made the switch to reusable water bottles. They knew a bit of strategy was needed to avoid metal water bottles rolling around the inside of the boat, and quick refilling is important as there is little time between each race. So they purchased 8 bottles, in a different color for each team member to avoid any accidental sharing. They also purchased a water bottle caddy to hold the bottles upright. The caddy makes refilling easy for one person to do, and it holds the bottles upright while sailing. The team has found the system fairly easy to adapt and they are using gallon jugs to refill the bottles. With 8 sailors on board, sailing for 5 days, they are preventing approximately 160 disposable water bottles from entering the waste stream! Sailors for the Sea is excited to see racing teams adapting Clean Regatta Best Practices to their daily routine, even when not at a Clean Regatta! Water bottles sitting down below in the Melges 32. They fit perfectly in the fiberglass sections down below. The water bottles, made by hydroflask, are insulated keeping water cold for up to 24 hours. The water bottle caddy can be purchased through most sports stores, here is a link to the one pictured left. Have you created a method for eliminating single use water bottles on your boat, at your marina, or in your office? Share it with us! Non toxic cleaning products – for my boat? Drainage basin of the Mississippi River, and dead zone it creates. Nutrient runoff is killing coastal ecosystems around the word. The dead zone that forms every summer in the Gulf of Mexico is one of the best (or worst) example of this problem. Support the health of your local and national waters by using non-toxic cleaning products on your boat. When you wash your boat, wax it, or use a spray solvent to clean off a spot, traces of these chemicals will more than likely make it into the water you use for recreation. If you haul your boat out to clean it, only some marina’s have proper filtration for runoff before it goes back into the water. If you clean your boat while in the water, nothing is stopping the soap from going in the water. The reason so many cleaners are good at getting rid of stains, bacteria and the like is because they are rife with toxic and petroleum-based ingredients-ingredients that persist and damage our oceans, environment and even our own health. 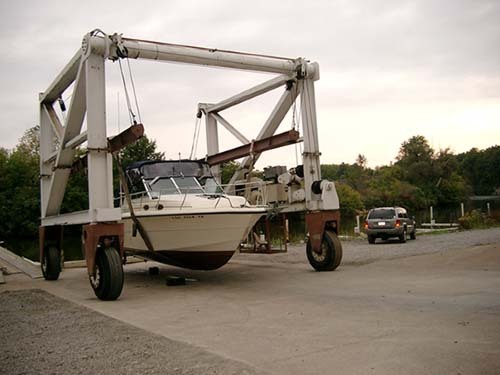 You might be putting more that just your boat in the water. Fortunately, there are some simple solutions like making your own cleaners or buying non-toxic products. Click here for ways to make your own green cleaning products. If you prefer store bought products, there are many non-toxic cleaning products being made for the home and boating industry. You want a product that does not contain chlorine, phosphate, petroleum surfactants, bleach, solvents, VOC and optical brighteners. Check out Seventh Generation, Simple Green Naturals line, and Clorox Green Works for your cleaning needs. Also check out ecomarineproducts.com, this website is till growing, but it allows for one stop shopping for environmentally friendly cleaning products specifically made for boats. If you work at a marina or shipyard, now is a great time to transition to non-toxic cleaning products. The best way to reduce runoff is eliminate the problem! Give your boat a water only wash down. This gets the job done for most cleanings and creates the least impact. What products do you prefer to use on your boat? Would you make a commitment to give water only wash downs every 3 out of 4 times you wash your boat? 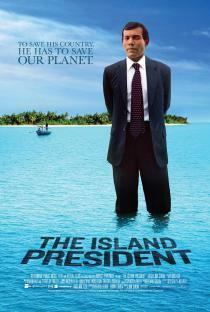 Sailors for the Sea is excited to partner with newportFILM for a screening of the documentary The Island President. newportFILM is a non-profit dedicated to nurture discovery, creative achievement and community dialogue through the art of film. The Island President tells the story of President Mohamed Nasheed of the Maldives, a man confronting a problem greater than any other world leader has ever faced – the literal survival of his country and everyone in it. The Maldives is one of the most low-lying countries in the world, a rise of three feet in sea level would submerge the 1200 islands, making them uninhabitable. A film about one man’s mission to save his nation and perhaps the planet. This is a “sneak-peek” screening before it comes out in theaters and then it will be a limited release. The film won the Audience Award for a Documentary at this past Toronto Film Festival. The evening starts at 6pm with a wine reception and food provided by salvation café (optional) The film screening starts at 7pm followed by a special Q&A session, moderated by Virgina Lee climate change expert and senior coastal manager at the Coastal Resources Center at URI. We are excited to share this important topic on the big screen and invite you to come out and learn how global warming is currently impacting peoples lives. As a coastal community we feel that this film will resonate with Newporters. Watch the trailer below and we recommend purchasing tickets in advance from newportFILM’s website. We look forward to seeing you there! Tall Ships for Sustainability, featuring the Schooner Adventuress, explores the mission of tall ships dedicated to environmental education. From providing youth science stations to sustainably supporting a full-time crew, tall ships around the country are making a difference to conserve the marine environment. Learn more about the problems facing Puget Sound, and many bodies of water, by reading about ocean acidification, low oxygen levels, and plastics in the ocean. Visit People for Puget Sound and Puget Sound Partnership for more information on how to get involved in this area.